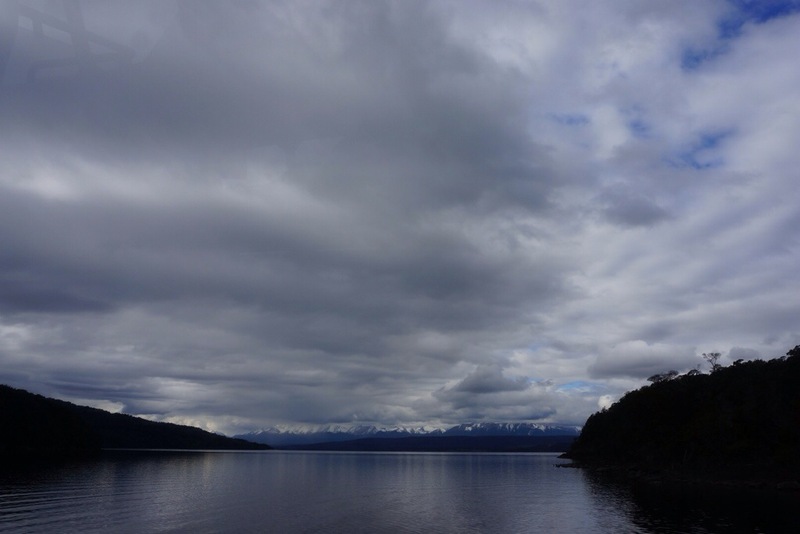 Bused it to Te Anau at the crack of dawn today and went straight to the DOC to get intel on the Milford track — whose trailhead is accessed via ferry. The woman behind the desk just stared at me. The ferry isn’t running, she said. Amazingly, no one I’ve spoken to was aware that the ferry doesn’t run in the off season — nor did Lonely Planet mention this. In fact, there’s been very little info about the Great Walks in general — even the avalanche sight says there’s insufficient information. In any event, out the window went the Milford track. Registered for the Kepler Track instead; another Great Walk. 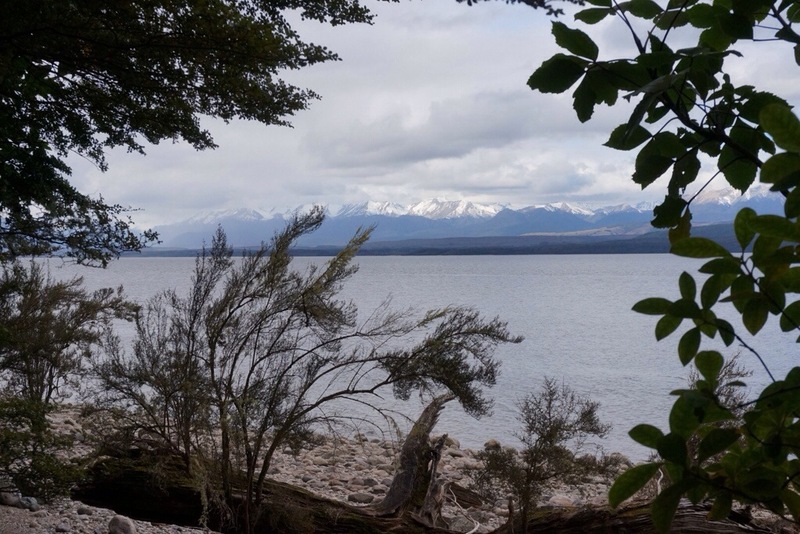 After DOC, I found another incredible hostel (Te Anau Lakefront Backpackers) on Te Anau Lake at the foot of the Fiordland mountains — and was once again given a room with a deck and a view. After dropping off my stuff I set off to explore the glow worm caves — which were so surreal!!! 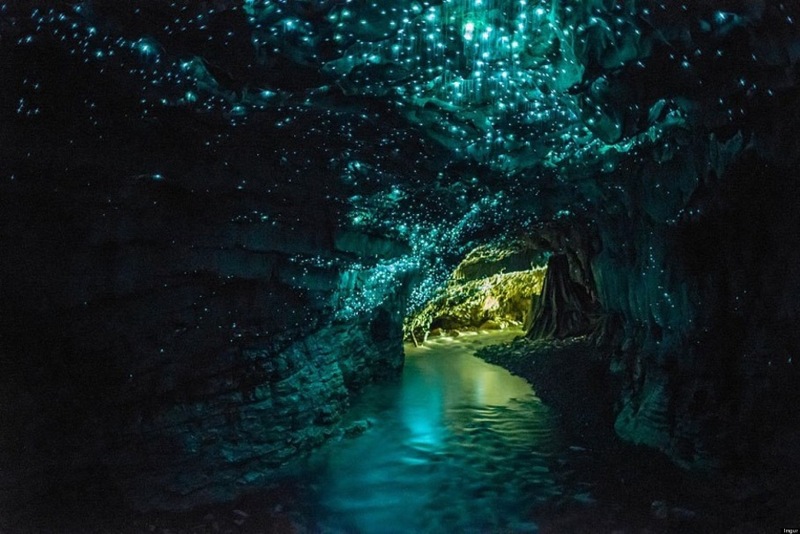 Updated info on the glow worms: Arachnocampa luminosa is the fancy name for the glow worms, which are unique to New Zealand. They live in limestone caves that are thousands of years old. The cave that I visited is 12,000 years old! To get there, I had to take a boat across the lake and hike half a mile through a forest of beech trees. The caves are of course pitch black and you need a headlamp to wind your way through its passageways. Eventually you reach a little canoe that will float you through an underground river to where the glow worms hang out. It’s an eerie feeling, floating in darkness and trusting the waterways. After a few minutes, you turn a corner and slide beneath what looks like a blanket stars. 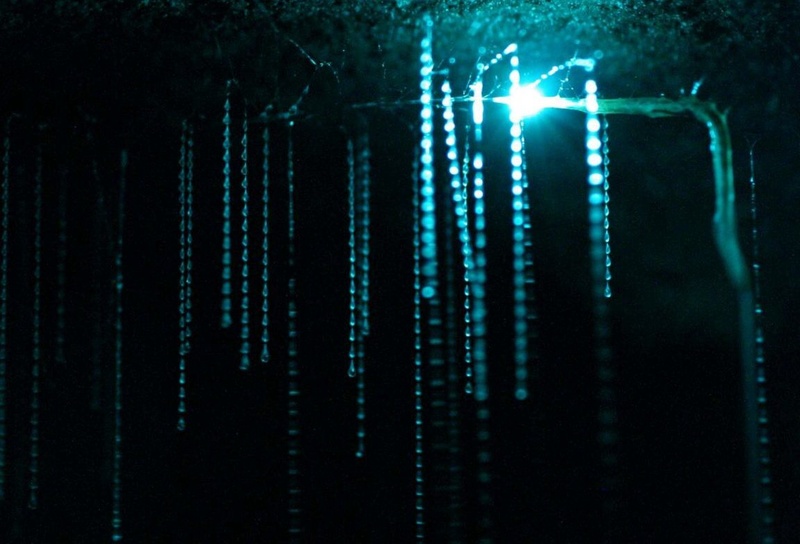 Across the cave’s ceiling stretch tens of thousands of glow worms! Unlike stars, however, which are so far away, the glow worms have a dimension and depth of character to their twinkling lights. The life cycle of the glow worm is 11 to 12 months. In their larva stage, the glow worms spend 8 to 9 months in a cozy nest of mucous and silk. These gooey little sticks show off a glowing bum! How do they DO that? To the students reading this post, look up the word “bioluminescence.” How funny and fascinating is science?? The glow worms’ main job as larva is to eat, which they do by dropping long sticky fishing lines to ensnare insects, which are drawn to their flashy bums. The hungrier the glow worms are, the brighter their lights glow. (Sometimes, if they are really hungry and another larva gets too close, they will attack and eat each other!) Up to 70 fishing lines are let down by one larva; the lines vary in length from under 1 cm to 50 cm. Each fishing line consists of a long thread of silk which has a series of mucous droplets giving the appearance of a string of beads. After the trapped insect is entangled, the glow worm hauls up the fishing line and consumes its prey by sucking out its juicy insides! When they are done eating for 8 to 9 months, the glow worms then spend a few weeks in a cocoon, after which they emerge as adult flies without mouths. Their last job, which lasts only a few days before they die, is to mate and lay thousands of baby eggs. Pretty amazing! Let me know if you have any questions :). When I returned to town, I met up with Nick, who decided to forgo his interview today to be a shepard and, having bought a car for a grand just yesterday (that’s how most folks get around NZ if they opt not to hitch hike), drove to Te Anau to join me for Kepler. We spent the remainder of the evening getting gear, food supplies, and organizing for our departure tomorrow. Kepler is a four-day 60 km trek in New Zealand’s Fiordland Park (a World Heritage site) that starts at the beech-forested shores of Lake Te Anau, continues up to alpine vistas, and loops past waterfalls back through glacier-carved valleys. For three nights we’ll stay in huts that are adorned with slabs of wood for beds and that’s about it, given that it’s the off season (gas is turned off and the wood is wet so we bought SoCo to stay warm — whoo). Each day is about six hours of hiking with the second being the most challenging not only because of the steep climb, but also because of the snow and avalanche risk (it’s also bound to be more rewarding given the views). This will be my third time using crampons and an ice axe — fortunately Nick has far more experience. If we get there and it looks too treacherous we plan to turn around and do the other half of the hike from the other direction. In the words of my grandfather, who has been much in my thoughts these days, Onward and Upward! 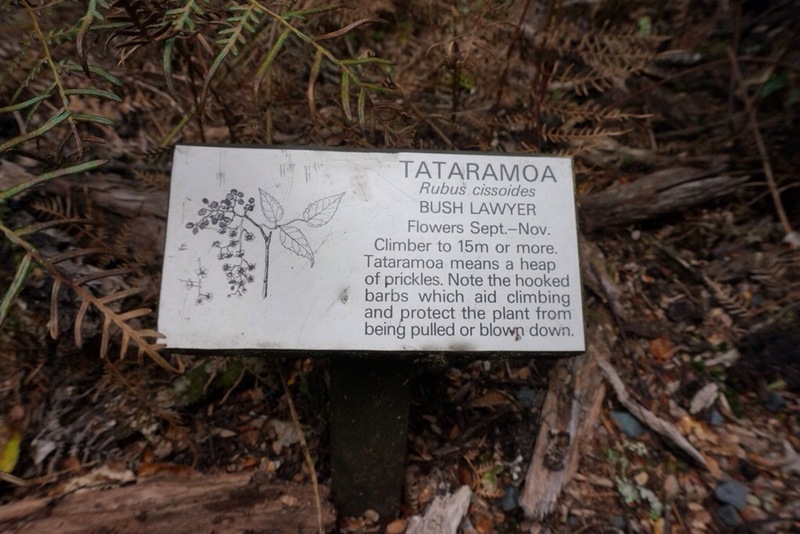 This entry was posted in New Zealand, Oceania, Round the World, Travel and tagged caves, fiordland, glow worm, kepler, milford, te anau, Te Anau Lakefront Backpackers, trekking. Bookmark the permalink. Google earth, what a wonderful idea! I am about to update the glow worm caves posting now and will add some extra detail for the class. I’m happy to answer any and all questions they may have. I’ll also do a posting specifically for them if you’d like. It’d be more of an abstract piece on what you learn about yourself through traveling…Have they covered US government at all yet (ie checks and balances)? I am curious how you went from learning about yourself traveling to U S Government and checks and balances? I look forward to your blog posts and would love even more detail. What is the context on this game with South Africa? What does DOC tell women differently about trails than men? Thanks for the feedback re detail Kathleen! Don’t want to drone on too long so good to hear you want more :). New Zealand’s All Blacks rugby team is the best in the world — but South Africa holds its own so it was an intense match! Re the Department of Conservation, they have been telling women incorrect information about the weather patterns (snow up past your waist) and that certain tracks aren’t accessible (like Milford). They told me, and the other women I came across, not to do any of the treks because it wasn’t safe. They were telling men, however, that the hikes were a walk in the park. I had a hard time getting them to tell me anything helpful about the actual conditions — rather than advise me on the terrain and weather they repeatedly told me not to go. It turns out that Milford was in fact accessible and that I could have hired a boat to get to the trailhead. And, needless to say, the snow was not waist deep. Anyway, no regrets on Kepler, but just thought they needed to be aware of the discrepancy in information they were relaying so that people can be adequately prepared. Did you get my gift from chambers by the way? Love you! Angela, I am going to be downtown October 1 at the Federal Building and plan on picking it up then. Thanks for telling me the difference in advice. Interesting. Why do you suppose that is?